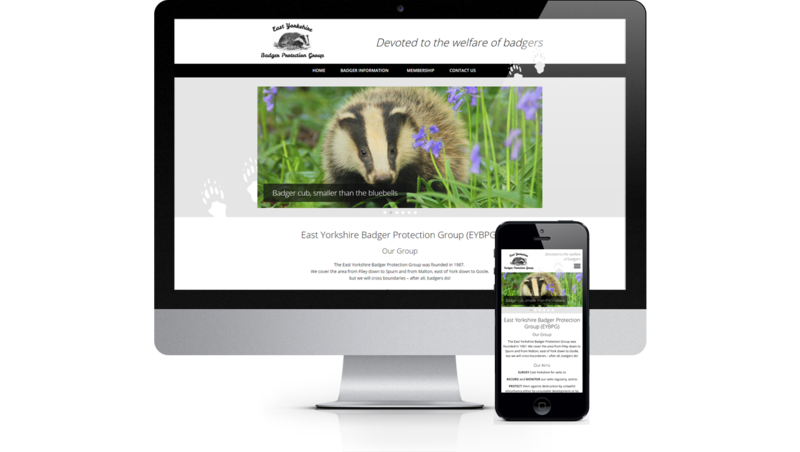 The East Yorkshire Badger Protection Group was founded in 1987.
but we will cross boundaries - after all, badgers do! and eye-catching website for us - and he has certainly delivered! and delays caused by a committee who had to approve the various decisions, which took time. and resolved our problems. The result is a website of which we are proud. We can recommend Stuart's skill unreservedly in building our website.